Happily Ever After Thoughts: What Are You Reading? 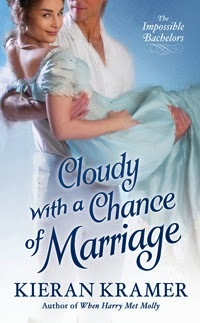 I just finished reading “Cloudy with a Chance of Marriage” by Kieran Kramer, a new author for me. I happened to stumble upon this book because the title just caught my eye (I also loved the look on the heroine's face) and I admit, I giggled (thinking of a movie that came out not to long ago: “Cloudy with a Chance of Meatballs”) and flipped the book over to read the back blurb. Who can resist lines like “Her heart’s been under the weather”? or “Is new love in the forecast”? Again, I giggled and bought the book. 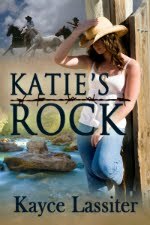 And I really liked it….the story, the characters, the author’s style. Everything. You all know what this means, right? This particular story is one in the Impossible Bachelors series so I’ll be hitting Amazon and looking for her other novels. I love when this happens, don’t you? My Kindle will be getting a few new books. But since I just finished this story and haven’t gotten to Amazon yet, I started looking around for something else to read because you know, I read three or four books at a time (and can’t remember a time when I didn’t). Luckily for me, I have a huge TBR pile, which is ever-growing, ever-expanding, and chose one from there. 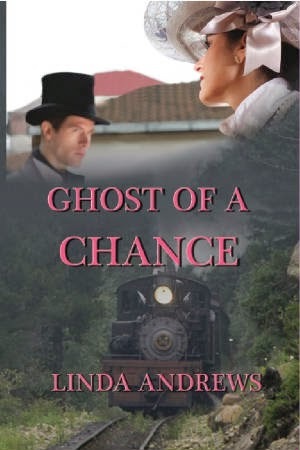 The winner is…..Ghost of a Chance, by Linda Andrews, which I’m really looking forward to (having read some of Ms. Andrews’ other stories, I know how good this one will be). Right now I'm reading a Stuart Woods suspense novel, but I do want to pick a new book by a new author (to me anyway). Like the rest of us readaholics, I have my book pile with plenty of sufficient titles, but they just aren't new enough because I haven't just bought them. Sounds silly! I have the itch to go to the bookstore soon as that's my favorite, and not done enough, way to find a book. If that doesn't work out, I'll be heading to Amazon to get that red hot title and read it immediately, so it never reaches "the pile." I was so tempted last Sunday to pick up several new titles but I restrained myself....it was hard but I really do need to get my TBR down to something reasonable (I'm tripping over the piles at the moment and I'm thankful my "still a puppy" shepherd doesn't like to eat books). Susana Ellis with Charm Bracelet Giveaway! Loons of a Feather...coming soon!!! 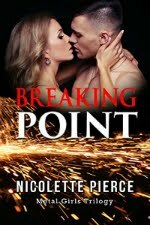 Guest Cristal Ryder with a Giveaway! KC Klein with a Giveaway of Hustlin' Texas!